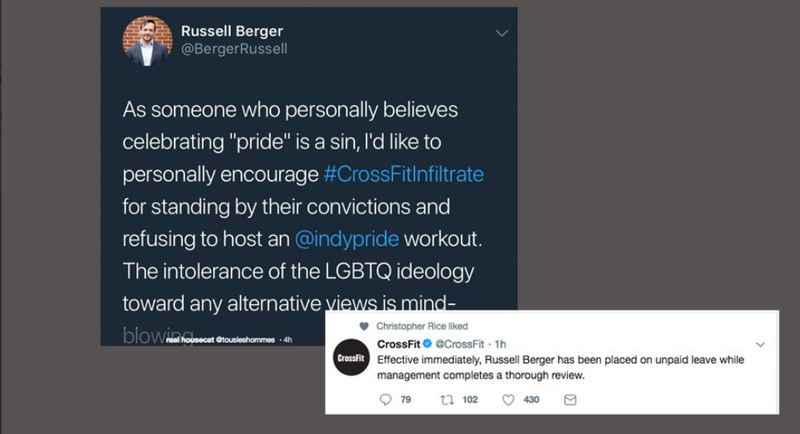 INDIANA: CrossFit Executive Fired After Gym Cancels LGBT Pride-Themed Workout For "Celebrating Sin" - Joe.My.God. 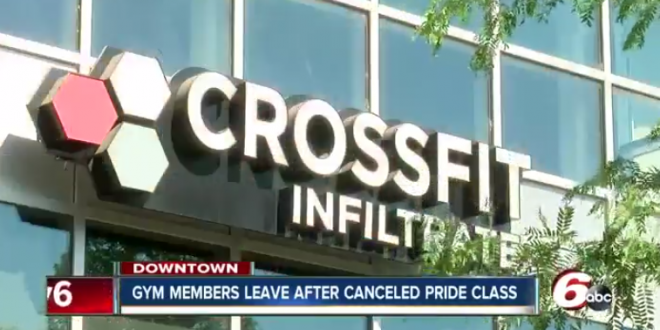 An Indianapolis CrossFit gym has closed its doors after intense backlash over a canceled pride-themed workout. A note left on the door by the management of CrossFit Infiltrate, located on W. 9th Street along the Indy Canal, says they will “no longer operate” at the current location. Several workers and members have left the gym after the gym’s owner, Brandon Lowe, sent an email out this week canceling a pride-themed workout. CrossFit is a diverse community in every way, and that’s what makes us strong. No matter who you are, how you’re built, what you believe, or who or how you love—we are proud of you.